The Tribunes are one of the most talented A’cappella groups around. The roots of the Tribunes go back to a group that recorded "Code of Love" on the Derrick Records label in 1962. In the early 2000’s, the Tribunes resurfaced as an acappella group. The began making appearances on Richard Nader's Doo-wop shows, WCBS-FM's Doo Wop Shop, UGHA. Lead East, the Harwin Theater in NJ, the Molloy College Acappella Shows, Vinny's Doowop Italian Restaurant in Brooklyn, The Theatre of Living Arts in Philadelphia and the New England DooWop Society. 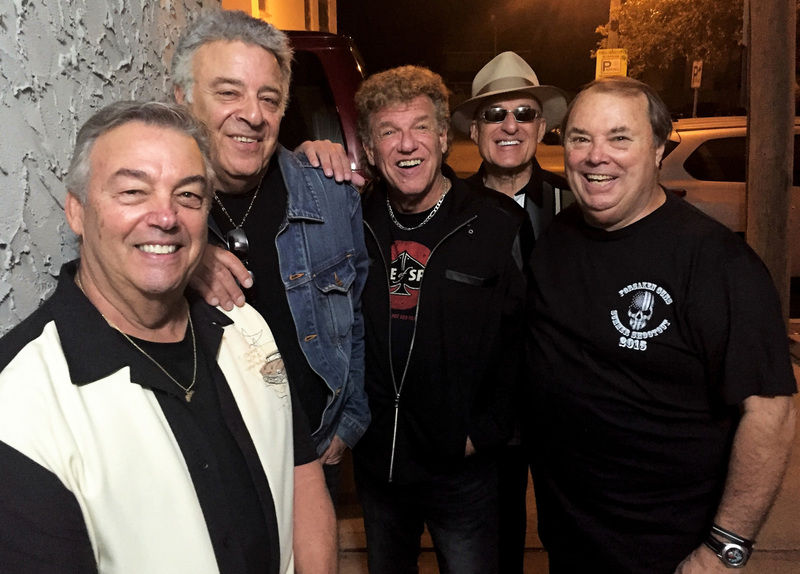 Further personnel changes in 2015 brought the group to its current talented line up of Mike Cuomo, Shelly Wengrovsky, Les Levine, Pete DeBenedetto and Roy “Hutch” Hutchings. Pete and Hutch had come over from the recently disbanded Encounters. Shelly had been singing with Cathy Jean & The Roommates. Mike, who helped assemble the “new” Tribunes had recorded with the acappella group, the Uniques in the 1960’s. And Les Levine had been with a number of groups including B Q E (Brooklyn-Queens Express), the Arrogants, the Excellents, Silk City and the Del-Vikings. The Tribunes are renowned for their authentic New York bred street-corner harmonies that are treasured by their audiences. The group boasts five lead singers to add to their versatility. Their energetic shows evoke emotions ranging from sheer excitement to feelings of pure nostalgia with their genuine renditions of the classic songs of the era. They were recently winners of the 2017 Senior Idol Contest. WINNERS OF THE 2017 N.Y.S. SENIOR IDOL COMPETITION! The Tribunes are a legendary 5-man acappella group specializing in the vocal music of the 1950's and 1960's. The group is renowned for their authentic street-corner harmonies and are proud to feature 5 lead singers to add to their versatility, including long time members of Platinum Recording Artists Cathy Jean & The Roommates, The Teenchords and The Del-Vikings. Their energetic shows evoke emotions ranging from sheer excitement to feelings of pure nostalgia. The Tribunes perform regularly across the United States and have shared the stage with virtually all of the oldies artists performing today. We Take You Back…… LIVE!!!!! Mike Cuomo The Tribunes' lead vocalist. Mike Cuomo started singing at age 15 at Bryant High School,taught by his good friend Joe"Buzzy" Clements, Sang with the "Del-Larks" and in 1965 cut an acappella album with Relic Records "The Best Of Acappella Vol.5" with the"Uniques" as the 1st tenor. Mike says:"I started singing again in 1998 with Larry Galvin of the "Traditions, ". I switched from 1st tenor to lead vocals and with Tony helped to form the new Tribunes. During his career he has worked with one of the finest Manhattan Cabaret acts in NYC, "SilkCity" ………and in early 1995 was drafted into the world famous now legendary "Del-Vikings.